The 2019 of Inter has not started anything right, at least in Serie A: after having tied at zero in San Siro with Sassuolo, the Nerazzurri fell for the minimum in the field of Torino, who with a tactically organized match was He deservedly triumphed and now rekindles his season, placing only five points from fourth place. Still complicated weeks for the Nerazzurri: after the polemics over the Nainggolan case and the renewal of Icardi, the CEO Marotta before the showdown confirmed that Perisic asked to leave (has an offer from Arsenal) and that he will try to please him. Without extremes, Spalletti opted for a 3-5-2 speculate that of his rival, with Lautaro and Icardi in the lead, but the experiment did not work: his players finished at the door only twice during all 90 minutes. The granata , led in the midfield by Rincón, they took out all the pass lines to the Milanese and, in addition, they sought to do damage with their best weapons: counterattacks and stopped balls. The decisive goal came just before the break, defender Izzo nodded to the net with a vaseline that surprised Handanovic. In the second part Spalletti tried to change the course with Nainggolan, Candreva and Politano, but their revulsive barely managed effects. The own Politano, in addition, was expelled for excess of protests and left to his with ten during the final minutes. 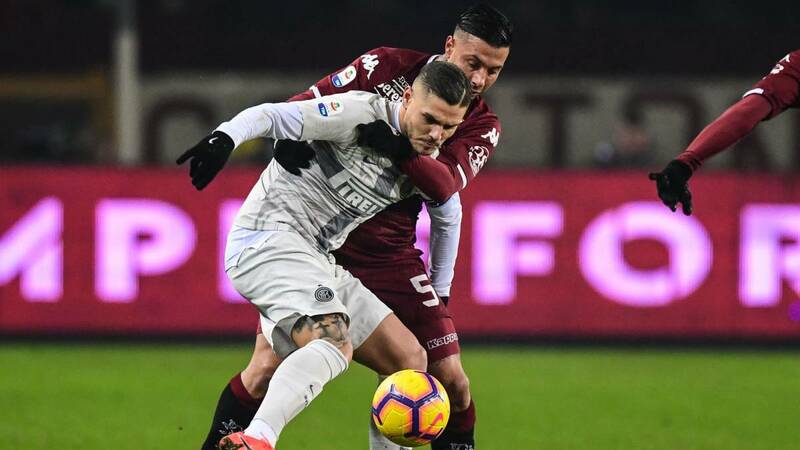 The defeat keeps Inter in third place, but very far from the Naples (which extended its advantage to eight points despite the draw with Milan), although with five points of advantage over its 'cousins' Rossoneri.